​​Topping it all off with that cheeky finish just makes it even better. 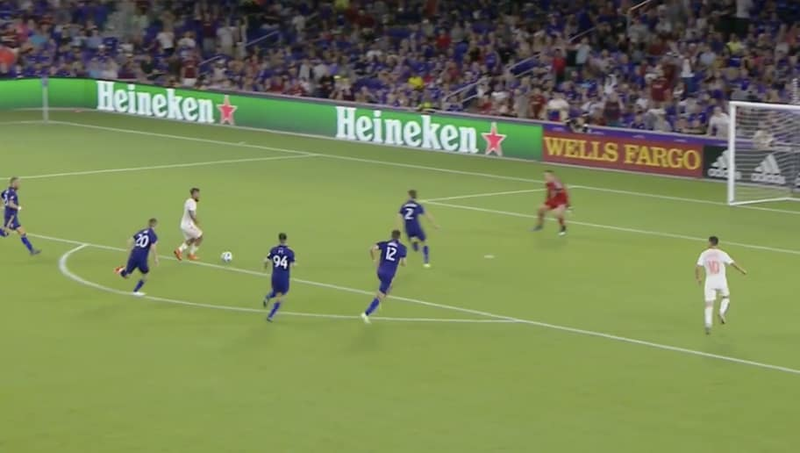 Martinez, a 25-year-old Venezuelan international who came to ​MLS from Serie A side Torino, has set the league ablaze and contributed a boatload of highlight reel finishes for a young Atlanta side in the midst of just its second season of existence. Currently in pole position to win the Supporters Shield and enter the playoffs as league's No. 1 overall seed, the sky's the limit for the Five Stripes. And if they end up hoisting the MLS Cup when all's said and done this year, that absolute menace in the No. 7 shirt will be the single biggest reason why.